Junie Moon, “The Inner Critic Tamer & Self Love Expert”, helps people experience Transformation that Sticks. International speaker and heart-centered coach, Junie guides clients and audiences (AT&T, BP, GAF Materials Corp.) to enjoy how to “Be Yourself and Love It!” Junie’s work empowering women includes her critically acclaimed film, Shed the Shame. In workshops, she creates a safe and loving space for people to relax and explore what they truly want. Workshop participants appreciate Junie’s true gift in shining the light for people to heal and then express the confidence, joy and success they crave. 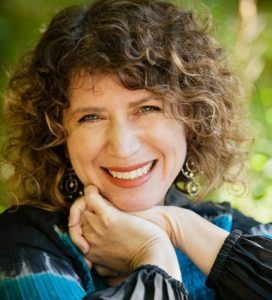 Best-selling author of Loving the Whole Package: Shed the Shame and Live Life Out Loud, Junie is a Certified Shadow Work® Facilitator, Certified Transformational Coach, interfaith minister, and dynamic workshop leader. You can reach Junie by phone at (973) 874-0427 or by email at junie@coachjuniemoon.com. Her website is coachjuniemoon.com.